Kartell K-Vit Esposito 2 Modern Freestanding Bath - Only £629.99! In stock now for just £629.99 including VAT! Hurry while stocks last! 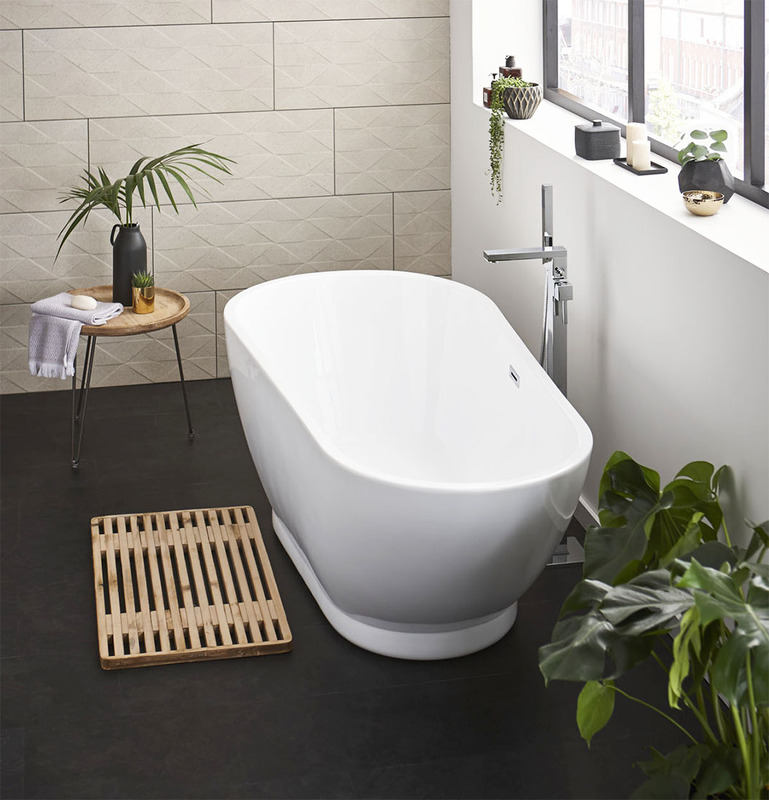 The Esposito 2 Modern Freestanding Bath from Kartell K-Vit is one of the most stunning and eye-catching baths available today, with sleek lines and gorgeous curves which will be the envy of all who see it. It boasts a generous 1700x810mm bathing space and a superb twin-skinned design, giving you increased heat retention, making this the perfect place for a nice, long soak. As well as beautiful looks and memorable design, the Esposito 2 bath is extremely high quality - as illustrated by the superb 25 Year Guarantee that comes with it. Manufactured to the highest standards right here in the UK using strengthened 5mm acrylic and a fully encapsulated base board for extra durability, this high-quality bath is the best choice for any setting. Part of the new expanded range of freestanding baths from VIP Bathrooms, the Esposito 2 leads the way in terms of quality, looks, satisfaction and value. Already very popular with our customers, this memorable new bath is selling fast - order now to avoid disappointment! Should a superficial surface scratch be created, car polishes and enamel cleaning liquids can be utilised in order to restore the sheen to the bath's acrylic body. Never use solvents on the surface of the bath, these will cause permanent harm to its material finish. Clean daily with a simple damp sponge or cloth and a small amount of soap water.